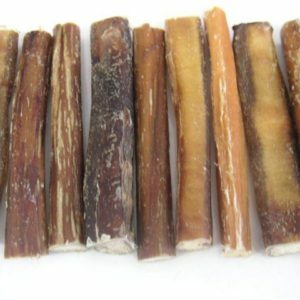 View cart “Yaky Sticks 6″ Bully Stick” has been added to your cart. 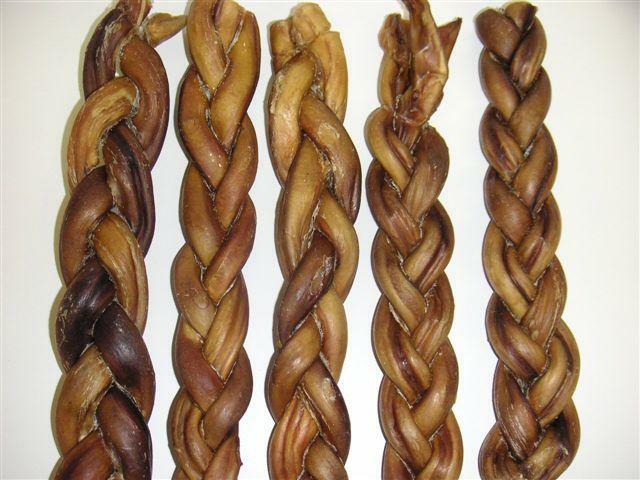 Braided Bully Sticks taste great and satisfy your dogs urge to chew. These dog chews that use an authentic, all-natural process that assures every quality treat is flavorful and easily digestible. Our dogs go nuts over these chews and yours will too! These aren’t rawhide chews. These are slow roasted delicious beef chews. Made in a dog treat plant built to USDA specifications. Your dog won’t find any fillers, added salt, grain, preservatives, artificial flavors or colors. Great Value! 100% Digestible. These long lasting non-messy chews will become your dog’s obsession! Although this treat is definitely a conversation piece, we do not suggest that you bring it with you on a first date. It has been known to cause severe blushing. This is one of the most popular treats in the pet world and it is no secret that dogs love it. This 12” Braided bully stick boasts that bigger is better and is made right here in America. You can have the peace of mind that they were manufactured under our country’s regulations and standards. *Mixed on means the thickness of Bully Sticks will slightly vary.